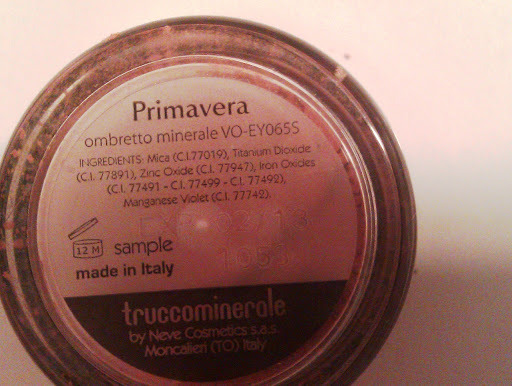 Neve Cosmetics is an italian brand that produces mineral cosmetics. It was about a year ago that I’ve ordered a few goodies to try, especially mini sizes, and I have not regret it. You see, I am a fan of MADE IN ITALY. 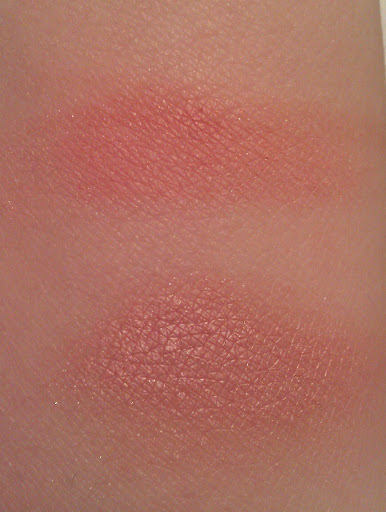 Primavera Eyeshadow is a warm pink/coral with peachy undertones pigment. It can be applied using a wet or dry brush depending the result you want to achieve. In every way, it is easy to apply and blend. Primavera provides a silky smooth matte finish and it is build-able. I was surprised from the lasting; lasts long without creasing. I normally use a primer, but I have tested the eye shadow without using anything else and I was satisfied from the result. If you read my blog, you probably know that I love products that can be used in different ways. Primavera is one of these. It can be used as eye shadow, blush and/or lipstick. Perfect product for your travel bag, don’t you think? Mica (C.I.77019), Titanium Dioxide (C.I. 77891), Zinc Oxide (C.I. 77947), Iron Oxides (C.I. 77491 – C.I. 77499 – C.I. 77492), Manganese Violet (C.I. 77742). As for the packaging, nothing special. A transparent jar with black tap and the logo written in silver letters. Simple but practical. The price is reasonable: 6.95€ for the full size(2gr) or 3.58€ for the mini size(0.7gr). If you are not familiar with Neve Cosmetics, I suggest you to buy a few products in mini sizes. The last long enough and you can decide if you like them or not. Oh! Did I mention that Neve Cosmetics products are 100% Cruelty-Free, Vegeterian and Vegan? 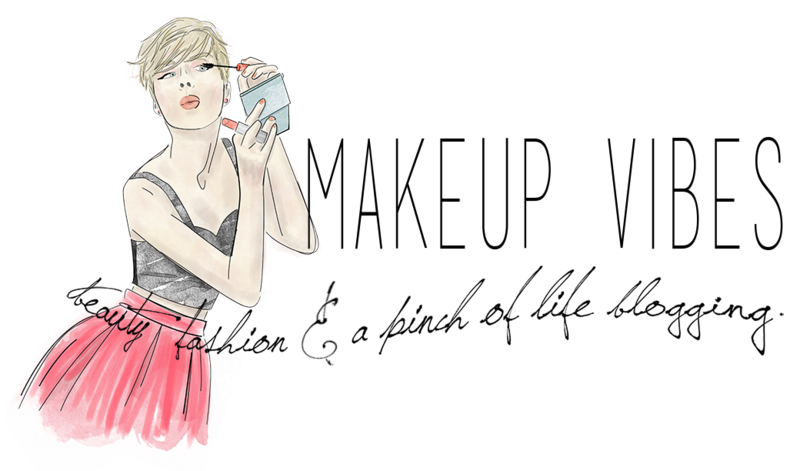 You can find all the Neve Cosmetics products at their official site HERE. 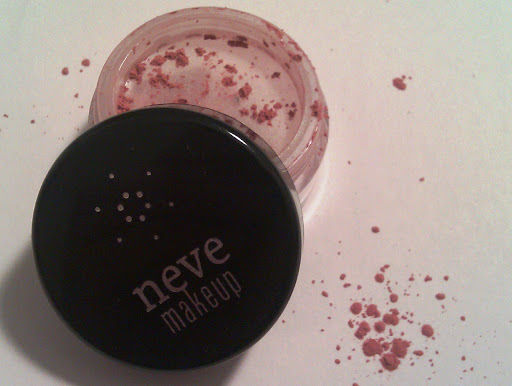 Have you ever tried Neve Cosmetics’ products? Would you like to? Do you use mineral make up often? nevecosmetics.it Είναι ιταλική εταιρεία και δυστυχώς το site είναι μόνο στα ιταλικά. Ωστόσο κάνουν αποστολές και στην Ελλάδα. Τσιμπημένα τα μεταφορικά αλλά αξίζουν ως προϊόντα. Επίσης, εγώ παρέλαβα το δέμα στην πόρτα του σπιτιού μου 2 μέρες μετά την παραγγελία. Καθόλου άσχημα, έτσι; Εάν θες να ψωνίσεις και χρειάζεσαι κάποια βοήθεια με τη γλώσσα, πες μου! Θα χαρώ να σε βοηθήσω.